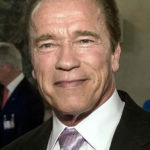 Arnold Schwarzenegger is a well known US actor, politician and businessman. He rose to fame as a professional bodybuilder – winning Mr. Olympia seven times – and is considered to be one of the most influential figures in the history of bodybuilding. He served two terms as a Republican governor of California. He was one of the biggest action heroes of the 90’s with mega hits like Conan the Barbarian, Commando, Predator and Terminator. Not many people know about his success as an entrepreneur and a savvy investor. He started and ran several successful businesses as diverse as brick laying, mail order and a production company. "I have a love interest in every one of my films: a gun." "I do the same exercises I did 50 years ago and they still work. I eat the same food I ate 50 years ago and it still works." "Political courage is not political suicide." "I have a private plane. But I fly commercial when I go to environmental conferences." "No matter the nationality, no matter the religion, no matter the ethnic background, America brings out the best in people." "I feel good because I believe I have made progress in rebuilding the people’s trust in their government." "I speak directly to the people, and I know that the people of California want to have better leadership. They want to have great leadership. They want to have somebody that will represent them. And it doesn’t matter if you’re a Democrat or a Republican, young or old." "I was striving to be the most muscular man, and it got me into the movies. It got me everything that I have."